Optical fibre cable is a type of cable with a glass or plastic fibre core in the centre. Rather than transmitting electric signals, the glass/plastic fibre core transmits light. As a result, there is no electric interference whatsoever which makes it a preferred solution for cabling in environments that have a problem with electric interference for one reason or the other. The glass/plastic fibre core is protected by several layers of protective material, mainly plastic to eliminate the problem of breaking and make the cable stronger. Optical fibre cable can be used for all sorts of technologies from cable television to telephone and the Internet, and is suitable for both homes and businesses. Cables with glass or plastic fibre core are renowned for their ability to transmit signals over large distances at great speeds. The speeds vary greatly, while the fastest optical fibre cable currently available can transmit approximately 5 Gbps. However, the speeds will probably increase dramatically in the future. In fact, the researchers at the Southampton University developed an optical fibre cable that was able to transmit as much as 10 terabytes per second. There are two main types of optical fibre cables, single mode and multimode. The latter has a larger diameter and allows multiple light reflections or modes as opposed to the thinner single mode optical fibre cable which allows only one mode of light to pass through. Both offer high speeds but the single mode version is more efficient on greater distances. And if you’re perhaps wondering, the superfast optical fibre cable that was developed by the researchers at the Southampton University is hollow and isn’t available yet. Unfortunately, it is impossible to tell if and when we will have access to this superfast version. 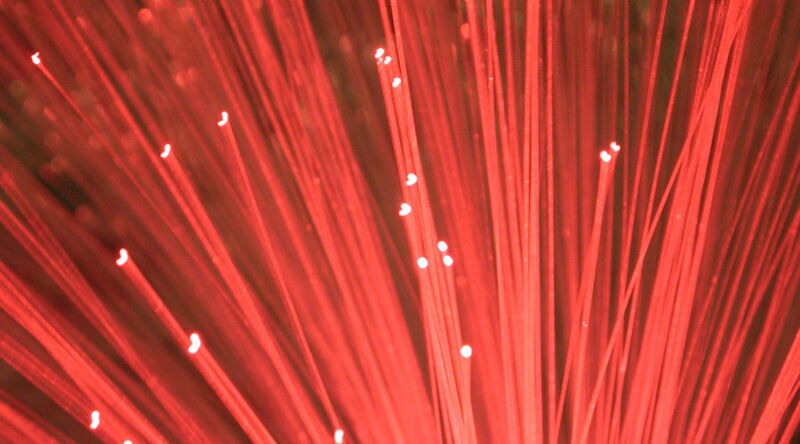 Optical fibre cable offers several advantages over copper wiring. In comparison to the latter, it provides much greater speeds and higher bandwidth. And since it transmits light rather than electric signals, it is virtually immune to electric interference. There is also far less attenuation losses, while the fact that it contains no metal parts also makes it resistant to moisture. The cost? The prices of optical fibre cable are about the same as of copper cables. But in comparison to the latter, installation and modification is much more difficult.